No taste? 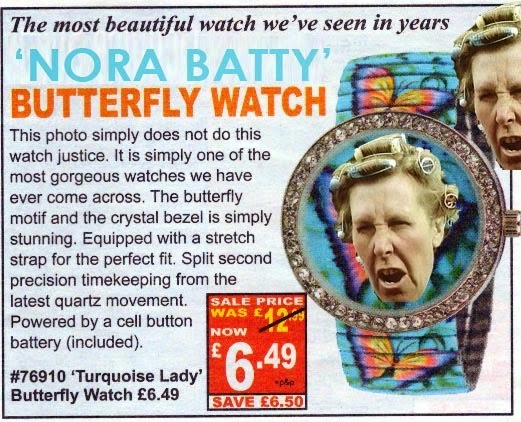 Like novelty items that give you nightmares? 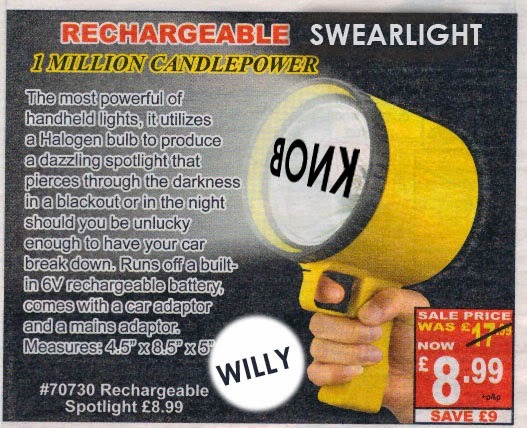 Want to be the laughing stock of the neighbourhood with a unique ‘party stopper’? Then look no further! 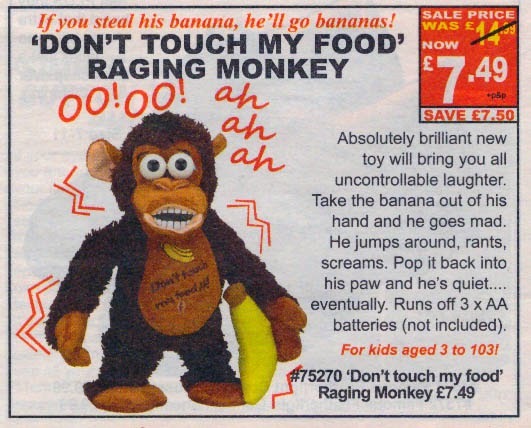 Made from the finest polyester flammable material our ‘cute’ monkey acts just like society and is permanently in a rage and rude. Take away his banana and he will moan about his disadvantaged upbringing of not having the latest technology whilst auditioning for the X-Factor. A Hoot! 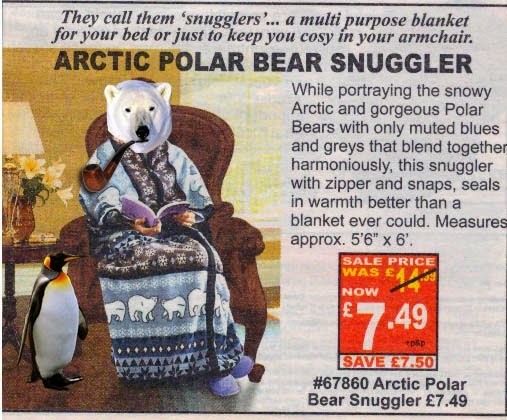 Keep your polar bear warm this winter with our special smokin’ polar snuggler, comes complete with penguin ‘snack’ and classic tobacco pipe. Have no fear Mrs G.Raffe we are here to help with our next item! Unwanted false body parts cluttering up the house? Our ‘Body-Away’ storage system allows you to hide all those mannequin parts and unsightly sensual dolls in one easy place ready to roll away at a moments notice. Guaranteed to take up more space than is necessary this revolutionary solution is a boon to easy move mannequin and sensual doll enthusiasts. Feel like a Hollywood superstar with this exclusive wonder watch. It’s so stunningly beautiful we just want to keep them all ourselves! Studded with real plastic diamonds this show stopping timepiece shouts every hour on the hour, now you can’t get better than that!